On Wednesday, the commissioners of Cook County, Illinois, repealed the controversial soda tax that went into effect in August of this year. December 1, 2017, will be the first day residents of Cook County will no longer be required to pay a one-cent-per-ounce tax on sugar sweetened beverages—and they’re better off without it. Although some of the costs are irreversible—one vending machine company estimated the tax cost them about $75,000 to reconfigure their machines—Cook County is now on a better path. At one cent per ounce, Cook County’s soda tax was smaller than many of the soda taxes enacted elsewhere, which range from one and a half cents to two cents per ounce. Still, the Illinois Policy Institute (IPI), an independent but libertarian-leaning think tank, estimates that the tax effectively raises the price of soda by 50 percent. IPI reports that the after-tax price of a 12-pack of soda has risen from $4 to $5.97. That’s more than five times the local tax on beer, a stunning retail price hike confirmed by the professional fact-checkers at Politifact. A well-known principle of public finance is that some of the burden of a tax imposed at any link in the supply chain eventually gets shifted forward to consumers. Cook County’s officials, like many other politicians, justified the soda tax as a means of improving public health by reducing sugar consumption. Academic research suggests, though, that consumers may not respond to selective excise taxes in the ways soda tax proponents think they will. Consider the soda tax in Berkeley, California. 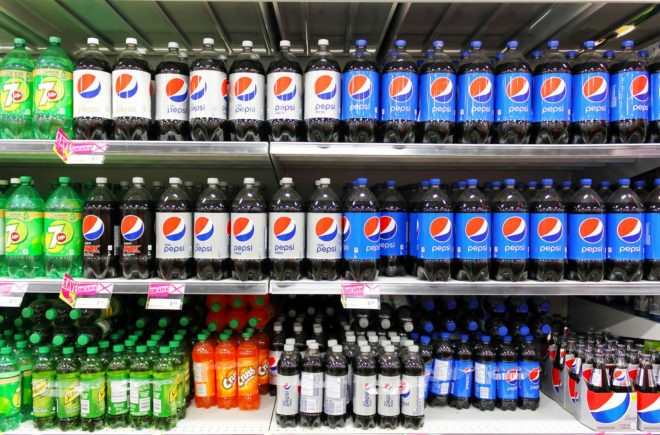 One study found a 10 percent after-tax reduction in soda purchases within the city’s limits. That is the line trumpeted by soda tax advocates, who should, however, read on. The same study also found a nearly seven percent increase in purchases of soda outside of Berkeley’s taxing jurisdiction. Several letters to the editor have chronicled just the same kind of behavior from consumers in Cook County. Berkeley and Chicago aren’t the only places to experience losses for differentially taxed local businesses from cross-border shopping. After Philadelphia implemented its own soda tax, stores just outside of the city quickly began advertising that their sales were not subject to the tax and guides soon appeared online pointing out the closest untaxed soda vendors. Consumers faced with soda taxes may not simply shop outside of the taxed area to avoid it, but they could instead buy another sugary good not subject to the tax. Which is, in fact, what researchers have found that consumers do. A paper published in the American Journal of Agricultural Economics predicted that a half-cent per ounce tax on sugar-sweetened soft drinks would prompt individuals to reduce their total caloric intakes slightly, but to eat more salty and fatty foods as substitutes for higher priced soda. When the researchers calculated how much weight a low-income person would lose if the half-cent per ounce tax were enacted, it turned out to be just 0.37 kilograms in a year and 0.7 kilograms in ten years. That’s barely more than a pound and a half over ten years and less than a whole pound in one year! From the start, Cook County’s soda tax was unlikely to improve the health of its citizens and was instead just a way of raising revenue on the backs of the poor. People shopping across borders and substituting other unhealthy foods for higher priced soda render such taxes as worse than useless. On the plus side, perhaps Cook County’s soda tax can serve as a cautionary tale for the rest of the nation. It, and other soda taxes like it, illustrate the “unintended” consequences of well-meaning, but failed public policies.